We want to thank our Tenspeed Hero Club Kit Sponsors because without their support making this jersey would have been difficult to say the least. 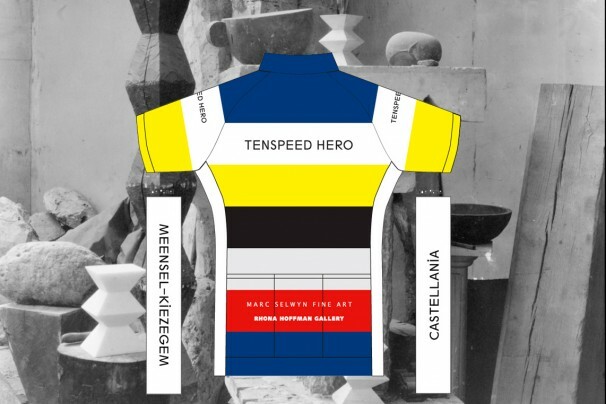 We called The Rhona Hoffman Gallery-Chicago, The Marc Selwyn Gallery-LA, The Friedrich Petzel Gallery-NYC (their name will soon be revealed on some caps and water Bottles) and told them that we wanted to make a beautiful jersey and some extras for this fanzine called Tenspeed Hero. All three of these galleries are renown for their impact in the international art world. Walk through their doors and experience artists like Gordon Matta-Clark, Lee Mullican, and the wonderful Dana Schutz. You will not be disappointed. Their participation is not solely based on their considerable love of the Heroes but they are joining us in our support of two charities. First off is the Boise Bike Project which services the southern Idaho cycling community in a million ways but the one that the Heroes love the most is their donation program that has seen 1300 bicycles donated to at risk youth! Jonathan Hero will be coordinating our efforts under the banner the Club Jersey so expect to see some posts about this in the future. In Chicago we are hatching similar plans but here our endeavors here will go to Chicago Arts Education. As many of you know, many of the Heroes make their wages teaching and making art and we are inspired by the kids that come from this city of Big Shoulders. We are going to try to create some noise and help out some of the city’s art programs. The Tenspeed Hero Club Jersey is the vehicle under which these efforts will be made. This one has been helped out by all of you that per-ordered the jersey. Thank you so much. Ordering 50 Jerseys is a scary thing! Based on our email conversations with many of you we are expecting some cool shots from Brazil, England, Oregon, France and Belgium. 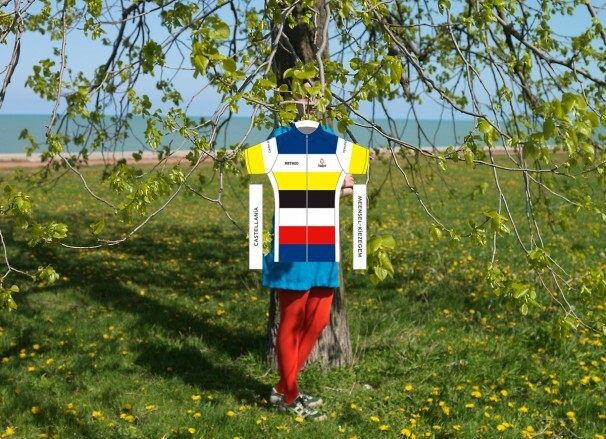 We also have a couple teenage friends, named Dean and Jelle who we met last year in Flanders who we also expect to help us illustrate this jersey with Heroic suffering. If you go deep in the inventory of our fanzine you can find a story and photo essay on these guys. Let’s just say one Eddy Merckx bike was having some issues and TSH helped them get back on the road. They are Heroes without question and we cannot wait to see them in Flanders this year. 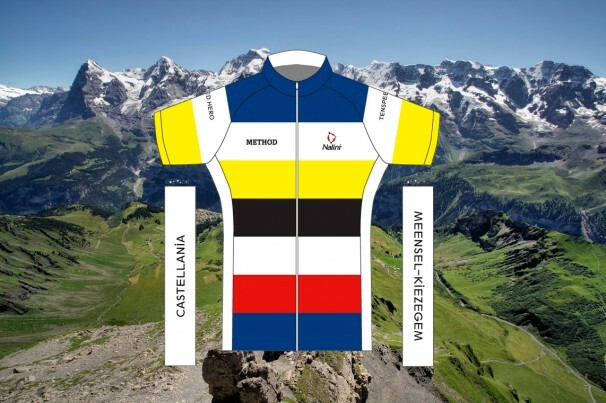 Dean and Jelle, if Nalini gets the order back early enough we will have your jerseys with us in April!